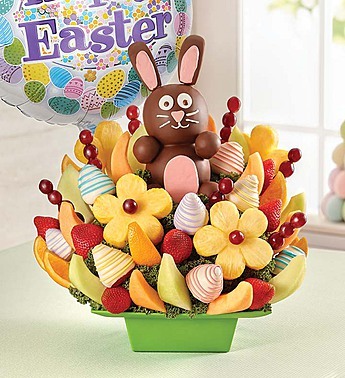 Here’s “hopping” your holiday will be filled with fun for all! 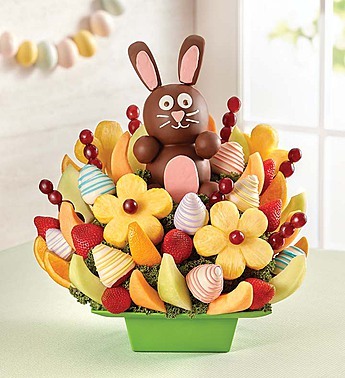 Standing atop our abundant arrangement of cantaloupe, honeydew, strawberries, and much, much more is our brown bunny made with dipped apples. Our sweetie is sporting a smile because he knows how much joy he’ll be bringing to your holiday party! Add to the celebration with a festive balloon.